25 Sep These Bridal Shower Games Are So Fun! Planning a bridal shower may not be as stressful or as intricate as planning the wedding itself – but if you were assigned with this task, you want to make sure the bride and the bridal shower guests have a really great time. Aside from décor, food, and maybe music, you will definitely want to include some fun games as well. But what are some of the most entertaining bridal shower games right now? We have gathered some options to inspire you – so read on and find out more. What’s in a bag? 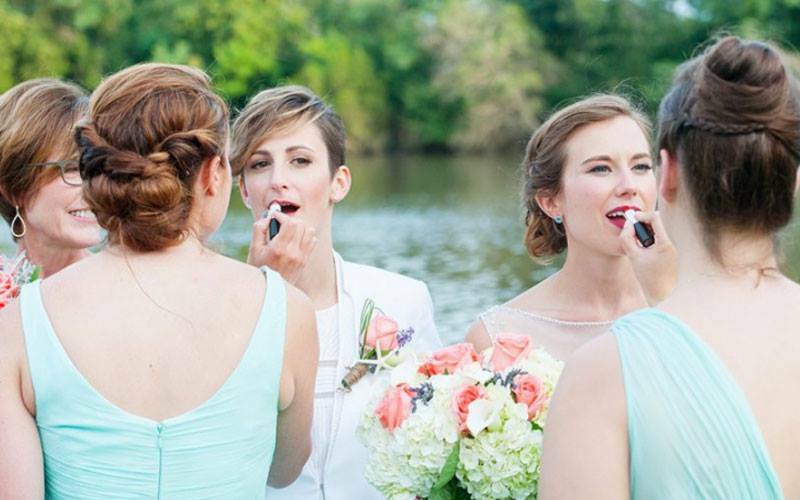 Talk to the bride and ask her to add some odd or unexpected items to her bag. Then, ask guests to guess the items in the bride’s bag. Whoever makes the largest number of correct guesses wins the game, obviously! Scavenger Hunt. This game is always fun for people who want to move around a little, and it can get a “bridal” twist to it too! For instance, instead of hiding away random objects, you could hide away something old, something blue, something borrowed and something blue and ask guests to find the items. Or, if you want to, you could ask them to find four random items that suit the description. Whoever finds them the soonest wins the game. Famous couples. Write down famous couples on small notes and mix them in a bowl. Ask each guest to draw one note and to stick it to their head. The first person playing the game asks everyone else questions to help her guess the couple. Whoever does this in the shortest amount of time wins the game (so make sure to time it!). Millennial Pictionary. Print out words and phrases spelled out as emojis and ask guests to guess them. For instance, a “bridal shower” would be a “bride emoji” and a “shower” emoji. Whoever guesses the most phrases wins the game! Champagne/ Prosecco Pong. This is a classier twist on the college drinking game we all know. Keep in mind, though, if you think there will be a lot of bridal shower guests who aren’t interested in drinking (or if you think the bride or other guests might feel uncomfortable drinking in the presence of their moms, for example), you might want to use this idea for a bachelorette party, rather than a bridal shower. Still searching for the most beautiful wedding venue on the Eastern Shore? Contact The Oaks, then, and schedule your personal tour of our stunning waterfront wedding venue! You will LOVE it here!